You’re very diligent about brushing twice a day and flossing regularly. You even make sure you see Shoreline Dental’s Dr. Co and Becca at least twice a year for your checkup and cleaning. Then one day, Dr. Co tells you you have a cavity! How could this happen? Medications: Some medications cause dry mouth. Saliva acts as a buffer against the buildup of cavity-causing bacteria. 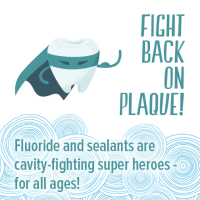 When your saliva flow is reduced, you’re more prone to getting cavities; fluoride can help prevent that. Restorations: Fluoride can help protect the margins of any restorations you may have, including crowns and fillings. Orthodontic treatment: A lot of adults choose to have orthodontic treatment. Do you know how hard it is to keep your teeth clean with metal brackets? Just ask your teen. 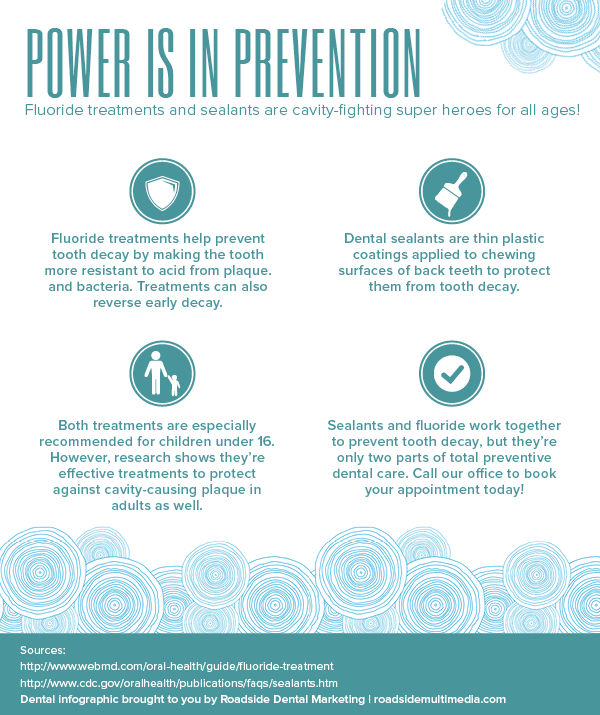 Getting fluoride treatment will help prevent cavities from forming. Sensitive teeth: Fluoride re-mineralizes tooth enamel, reducing sensitivity. Gum recession: When gums recede, the root surfaces of your teeth are exposed. These areas are softer than enamel and more susceptible to decay. Fluoride helps strengthen them. Radiation treatment: Radiation damages saliva glands, which reduces saliva flow in cancer patients undergoing radiation treatments. Decreased saliva production could result in cavities. Another preventive treatment your Shoreline dentist may recommend is sealants. The American Dental Association states that not only are they beneficial for kids, but also for adults. If you’ve suffered from adult cavities or if any of the six circumstances listed above apply to you, ask the experts at Shoreline Dental, Dr. Co and Becca, about fluoride treatment and sealants. Contact us today to schedule your next appointment!